Note: Move your downloaded data to folder /Android/obb/com.bounceworks.apartofme. 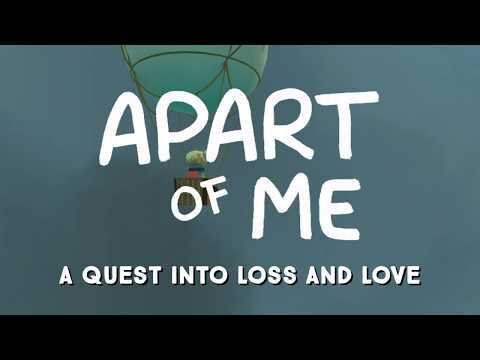 Apart of Me - A beautiful world, built to guide you through your darkest moments.This game is designed to help you cope with the death of a loved one.Welcome, to your island.A magical, peaceful world populated by friendly creatures and a wise guide. Help Foshan and his friends find peace by catchin... see more Apart of Me - A beautiful world, built to guide you through your darkest moments. Recently seen on BBC Breakfast, ITN and Channel 5 news. Bounce Works is a social enterprise with a mission to overturn the growing crisis in mental health among our youth by creating engaging and effective digital products and services. We made Apart of Me because we wanted to help young people going through difficult times. Apart of Me is intended to support children and young people who have a terminally-ill family member or friend, or who have had a family member or friend die. It is not intended to replace independent professional advice from qualified counsellors, psychotherapists and medical practitioners. There are people who can help you if you feel that you need more support, so please speak to someone you can trust or seek professional guidance. In the future we may collect some data from users to help research effectiveness of game features and therapeutic techniques. Don&apos;t worry, we&apos;ll ask for your permission before we collect anything identifiable and you will be welcome to say no at any time.